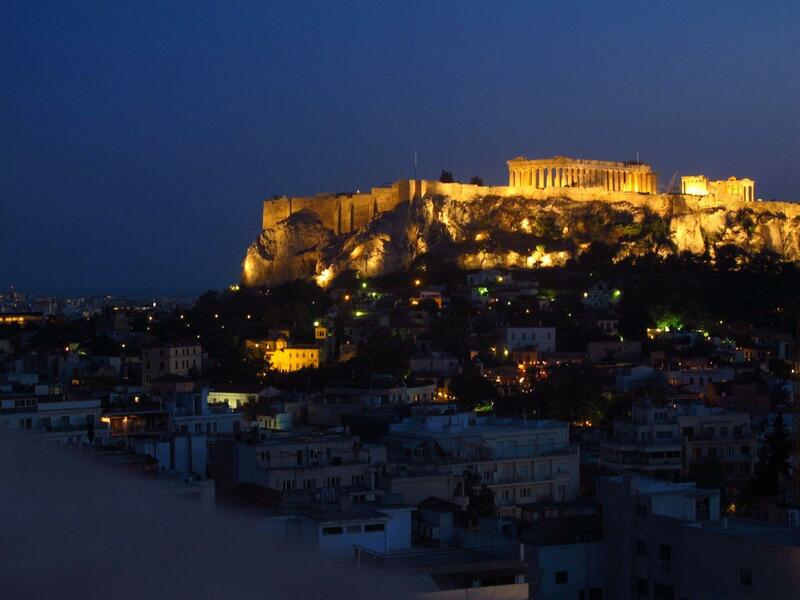 After our big day on the buses yesterday we headed back to the hotel worn out but happy, had quick showers and bolted to the top floor for a wine, nibbles and to watch the gorgeous sunset and the Acropolis come to life after dark. We honestly wouldn’t want to end our little visit to Athens any other way.We had an early start with a taxi ride to the port to catch the high-speed hydrofoil to Mykonos. The hydrofoils are huge and a real eye-opener if you’ve never been on them before. Our allocated seats were even in business class! We sat opposite a young couple from Brazil who were quite lovely so the (I think) 4 hour trip passed quickly. Sarah had the richest chocolate donut type pastry I’ve ever seen and then wondered why she didn’t feel well!! 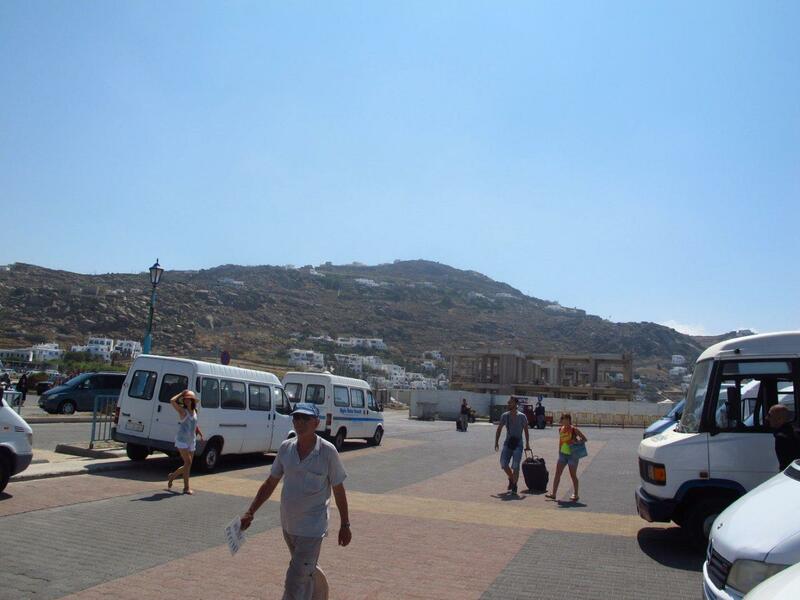 Arriving at Mykonos was a tad worrisome – the port area looked rather barren and deserted. As we met our driver who should come along too but the Brazilians and it turned out they’re staying at the Myconian K also. I couldn’t believe how much luggage the girl had, it was encouraging that ours weren’t the biggest or heaviest.We had a laugh about some of the vehicles there to collect their guests. Clambering into the back of tiny little 3 wheeler utes would be bad enough but I suspect that having twits like us taking photos and laughing would be even worse. Oh well, that’s the luck of the draw isn’t it? Some of the buildings on the way were picture perfect and then we arrived at the hotel – it was just like another dream come true – all blue and white and gorgeous. It’s really just like the travel brochures and postcards and I love it.Our room wasn’t quite ready so we adjourned to the bar for a drink then headed to the day spa to organize a couple of pampering sessions and generally just took it easy. Poor Sarah wasn’t feeling too well all day but she did venture to the restaurant with me for dinner, hopefully she’ll be back to her normal self in the morning. We’re only here for a few days so I’d say we’ll be rather busy! !